Following the back to back VMUG’s in San Diego and Silicon Valley, I found myself a week later back in my home town of Seattle, WA. This trip was especially fun because it was a mini-reunion for several members of Team #vDB. I met up with Jason Langer, Josh Atwell, and Peter Chang. Peter leads the Seattle VMUG group and Jason sits on the steering committee. Josh was flown out to give his talk about Ginger Power oh and I think Power CLI. David M Davis from Train Signal was also in town to give the keynote. I highly recommend his training sessions on the various VMware product lines. I was also there on business with SimpliVity Corp doing booth duty as well as to give a breakout session around our Hyper-Converged Omni-Cube. Suffice to say with a large crowd of 420 (only in Seattle), and around 130 visitors to the booth it was a good day of virtualization technology discussion. Given the football theme of our giveaway, I was reminded of one of the most amazing plays in football history, I’m speaking of Marshawn Lynch and Beast Mode. Sixty-seven yards, nine broken tackles, a crowd response big enough to register on the seismic charts, and a massive upset defeat over the reigning Super Bowl Champions. That’s Beast Mode. As the modern datacenter starts to transition from the legacy architectures of the past and into either the hyper-converged or software defined datacenter of the future, Information Technology departments will come to rely upon solutions that can go into “Beast Mode” when needed. Successful Information Technology departments need to be fast, flexible, and agile, much like a professional NFL running back. They need to be able to deploy workloads quickly; they need to be agile enough to re-deploy those workloads where needed, and they require significant flexibility for the movement of workloads between datacenters. Let’s take for instance the deployment of a datastore within VMware ESXi. The ability to provide simple provisioning without the additional complexity, and management tasks seems like something that should be integrated into any virtualized solution. For instance with the OmniCube system storage is presented to the federation quickly through a few mouse clicks. Simply choose a data center, give it a name, apply a default backup policy, and provide the size of the datastore. Done. The requirement to create and manage storage zones, deploy a storage LUN, or re-scan HBA’s to see newly presented storage volumes can be abstracted from the end user, and in this case these tasks and processes are not even required. Virtual machine storage is presented and ready to use in seconds, versus hours or even days (depending on the organization). Agility and Flexibility for virtual machine workloads are a requirement in the modern datacenter as well. Here we can see from the vCenter plugin interface the process of migrating one virtual machine between two datacenters, this functionality is built into the OmniCube platform. 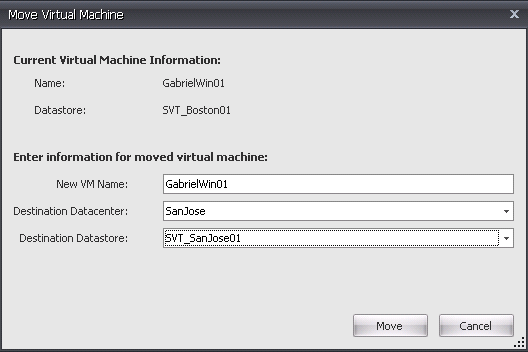 Simply choose a virtual machine from within the vCenter console, choose a destination, and move. Since all data in the OmniCube Federation is deduplicated and compressed there is a significant reduction in the data transfer requirements between geographical locations. 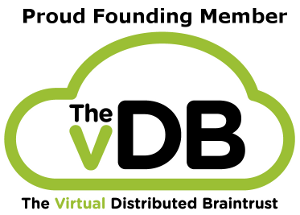 Virtual machine workloads and their backups can be moved seamlessly between OmniCube based datacenters providing a level of flexibility and agility that is not natively available in your traditional datacenter infrastructure. To provide this level of functionality in a standard reference architecture stack requires additional expense, configuration, and sometimes 3rd party applications. These are just two examples of what may seem like simple tasks that should be easy to provide in a virtual environment that can become cumbersome and time consuming. Remember, Beast Mode: fast, agile, and flexible. 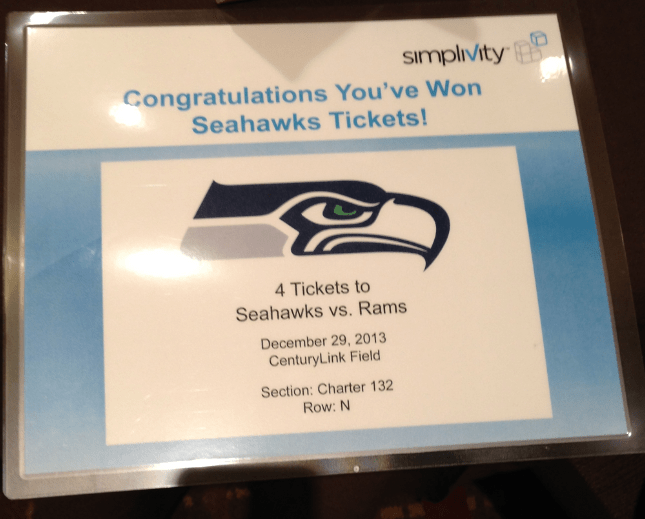 I’m continuing to discuss this technology with end users at the various VMUG events that I am attending. The feedback has been positive. The coming weeks you can find me at the Salt Lake City, Vancouver BC, and Phoenix VMUGs. Stop by and say hi, and I can give you a demo and show you more of the functionality of OmniCube.